Travel Blog Success Review - Is It Worth the Hype? And the Money? I wanted to do put together a Travel Blog Success review after having had my hands on this course for a few years now. 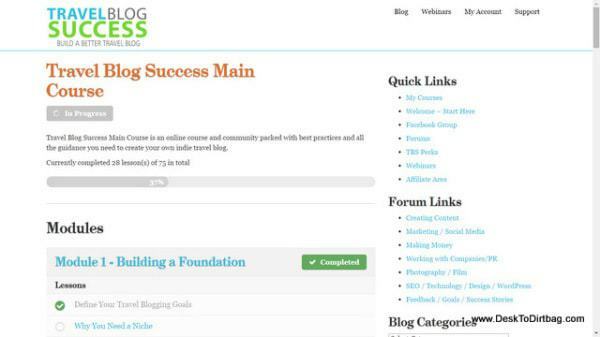 In the following, I will be touching briefly on a few of the reasons to start a blog, what defines a successful blog, and then take you behind the scenes of the Travel Blog Success course. First of all, I think there are a myriad of worthwhile reasons for anybody to start a blog for personal reasons. Putting digital words on paper is a great way to achieve more clarity with things you want out of life, the things that really matter to you, and to help you consciously choose to do more interesting things on a daily basis. Starting a blog can also hold you accountable to following through with what you set out to do, and you learn a whole slew of new skills and information related to the subject from the technical side of hosting, plugins and SEO to the fundamentals of writing well, graphic design, and internet marketing — all of which coincidentally can be leveraged for some excellent side hustle jobs to help you travel the world. Those are but a few of the many reasons why I believe one could and should start a blog — but there are a whole host of other reasons to start a travel blog. If you start a blog and stick with it for a good length of time, you will invariably start to think about ways to make your blog more successful. Every travel blogger has a different definition of success depending on where they are at in the process… Perhaps it’s just a bigger audience, a little bit of money coming in, some free perks, or a whole range of other things. One should never start a blog with the sole intent to make money. It is an extremely slow going process and even then you probably won’t make much. Making a little money on the side can be a good motivator, but definitely shouldn’t be the primary goal. I started my blog primarily to hold myself accountable to carry out with my plan to leave the working world and explore the great outdoors, as well as thinking that I might be able to leverage the blog into some free or reduced rate outdoor gear (which I was able to do). As my travels have continued growing, so too has the scope of my ambitions with my blog and what I’d like to do with it. I’ve far exceeded the success I first envisioned when starting this page, but these days I’m still a long way from where I would like to be. There are millions upon millions of blogs out there in the world with just as many people behind the scenes running them. What makes a successful blog is ultimately dependent upon the goals and definitions of the writer. Some people consider success to just be a sort of public diary, others a continuously growing audience and the spread of their ideas, others as a platform for their freelance and consulting work, and others as a cornerstone of their income. My goals for Desk to Dirtbag remain decidedly less ambitious than the latter reasons, but over the course of more than two years, they have indeed grown from just wanting to hold myself accountable or just wanting to get some free gear (I’m pretty good on gear, actually!). After settling down in Medellin, Colombia the first time — almost six months after I initially planned to return to the working world, and watching my bank account continue to decline — I really started to think about ways to grow my website as well as the audience and how I can best set myself up for continue this lifestyle into the future. Things went well, despite some rough waters, and I’m still out there traveling — be sure not to miss my post about the truth about how I get paid to travel the world. In June of 2014 I joined the Travel Blog Success course, launched by David Lee of GoBackpacking.com and MedellinLiving.com (of which I was a contributing writer while living in Medellin). I belong to a number of different (paid) online communities, but Travel Blog Success is the only one I belong to that is specific to blogging and how to leverage your travel blog into something bigger in terms of income and benefits (whether that is travel gear or free travel). For two years I never even considered myself a travel blogger, even though that is exactly what I was doing–road tripping around the country and writing about it. I had always considered my blog to be more of the outdoor/climbing/hiking community than the travel blog community. But through the course I began to see that there is a large crossover between the two, and the outdoor blogging community could just be considered a small niche within the larger travel blog community. In any case, I began working my way through the 31 written lessons which cover the blogging process from start to ‘finish’–from setting up a blog and hosting, to choosing a domain name all the way up to more advanced concepts like creating your own products, finding press trips (traveling for free), and strategies for actually making some money through your website. The Travel Blog Success course is certainly the most comprehensive blogging resource I have used–and it is so awesome that it is specific to traveling. As I began working my way through the course, I changed a number of things about how I approach my blog–from simple things like font and website readability (no long paragraphs), how I format images, etc, to the larger scale strategic items in terms of content. In the months that followed I implemented a static front page, added a few key resources (like the resource and start here pages) which resulted in a dropped bounce rate, was able to increase my pages per visit, and longer average time on site. All great metrics! And all concrete results learned from the Travel Blog Success Course. During that time I watched my newsletter subscribers continue to grow month over month and I launched the first ever product giveaway on my website. Working through the Travel Blog Success course helped me to create a Media Kit and using the sample letters in the course, and as a result I’ve managed to land a number of complimentary hotel stays and adventure activities in different destinations. 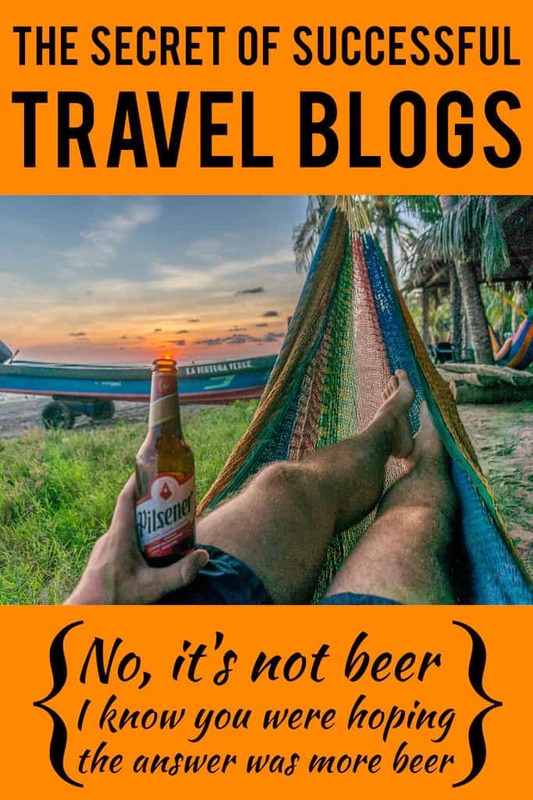 Travel Blog Success, beyond the 31 lessons that make up the course, also includes dozens upon dozens of audio/video interviews with other prominent travel bloggers (and other niches) about all sorts of things surrounding this line of work — yes, it’s work, not vacation. Travel Blog Success dashboard of lessons. 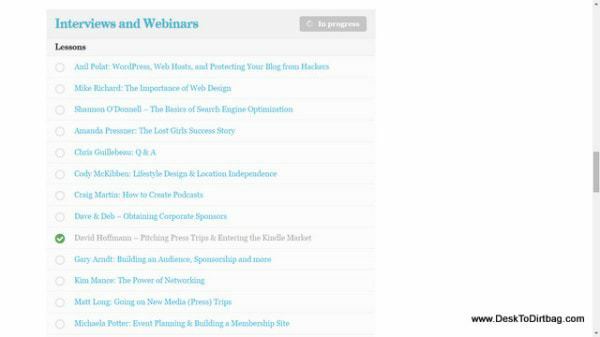 Interviews and webinars with leading travel bloggers. The lessons are clear and straight to the point, full of actionable tips and advice. With most courses, you work through the material and then you’re done with it, that’s it. Thankfully, that’s not the case with Travel Blog Success, since beyond the core content above, the best aspect of the course is probably access to the private Facebook group. Now, a lot of courses offer a “private group” but upon joining all you see is a few welcome posts from the owner, and then crickets. One of the scary things about setting out down this blogger, vagabonding path is the fact that you are just kind of out here alone. No more bosses, no more responsibilities, nothing to hold you accountable for doing the things you want to get done. Getting involved with an online community can be a great way to keep you motivated and create dialogue with people who are on a similar path. 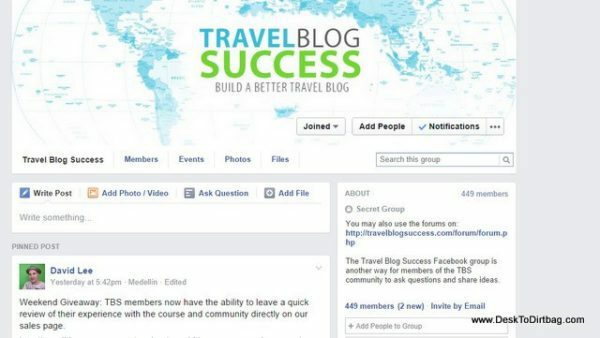 Inside the Travel Blog Success Facebook community. The best part about the online community is that it includes people from all walks of the travel blogging spectrum in various niches (adventure travel, backpacking, luxury travel), from those making full time incomes to those who are just starting out. The community is also extremely active and responsive–community isn’t community if you post questions, no one answers, and all you hear is crickets. So now that I’ve been in the Travel Blog Success community for more than three years, what do I think? Well, I have put the fundamental course material behind me for the most part (although new supplemental courses on related topics pop up now and again — I’ve since picked up travel writing and videography), I still find a get a tremendous value out of my membership. First and foremost there is the Facebook community that I mentioned earlier. It continues to serve value on a regular basis. It is where I turn to when I have questions, it’s where I turn to find out what’s new and changing in this online or blogging world, it’s where I continue to learn from some of the best travel bloggers out there by learning from their example and their perspectives. Second, there is an opportunity board exclusively for members. 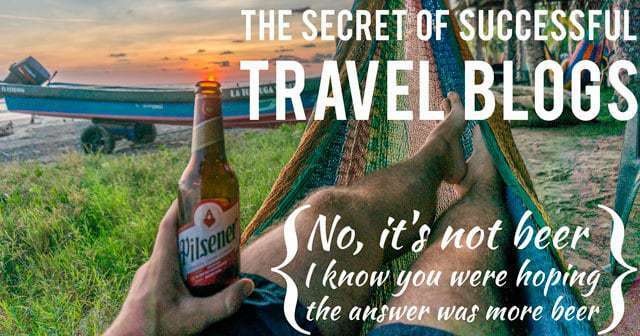 Since Travel Blog Success is one of the biggest names in this insider travel industry, many companies reach out to them with potential opportunities. These range from sponsored posts, remote work, guest posting opportunities, and more. These sorts of things may or may not be helpful, but it’s actually turned out to be beneficial to me on numerous occasions as I’ve landed guest posts or even gigs which put money in my pocket (always welcome!). And finally, that doesn’t count the long-term strategies and investments that I’ve made toward becoming a professional blogger — as strange as that sounds. But you can see how things are going in my monthly income reports (if that’s your primary measure of success). I joined the Travel Blog Success course nearly two years after starting my blog. Way late in other words, and yet I still learned a TON from the course and it totally transformed the way I thought about and approached my blog. It’s a shame that I didn’t take this blogging thing more seriously from the get-go and joined earlier on. I have no doubt that I would be further along in this journey than I am now. I’m confident that if you want to have a go at making your personal travel blog something a little bigger, then you will benefit from joining the Travel Blog Success course. This course is definitely NOT for you if you’re perfectly content with the current trajectory of your blog and it is more of a fun, personal side project and you don’t have goals of growing it into something bigger–that is, after all, the very idea behind the course. If you know anything about blogging, you also know that there is no super secret recipe or quick routes to success–it is slow going and at times hard work–but TBS takes the best practices across this niche industry and presents them in a way where you can model the success of others. 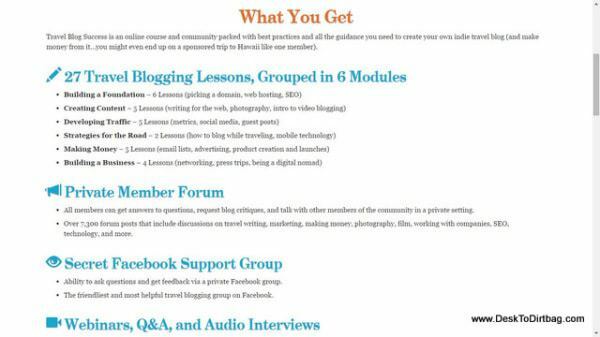 Lifetime access to the Travel Blog Success course , materials and community costs $347, and I really do think it is a great investment in you and your blog if you’d like to take it to the next level. Join Travel Blog Success today. If you have any questions about the my Travel Blog Success review or the course in general, I’d be happy to answer them for you. If you sign up through my affiliate link, I do get a small commission for the referral, at no extra cost to you. Thank you, and see you on the inside! Sign up through my affiliate link, forward me your receipt to ryan@desktodirtbag.com and I’d be happy to do a free 1-hour Skype consult with you about your website and offer some immediate, actionable advice and recommendations for things you can and should do to meet your goals. Great blog post Ryan, some really good tips here I will use in my own writing 🙂 Thanks for sharing!